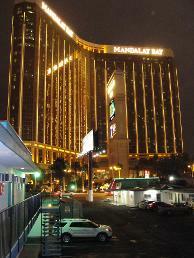 The Las Vegas MOTEL 8 is across the street from Mandalay Bay Hotel & Casino. It is located 3 miles from McCarran International Airport and within walking distance to major resorts and casinos. 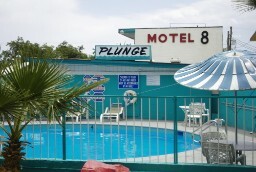 The motel features free Wi-Fi and a seasonal outdoor pool. Rooms are comfortable and offer guests cable TV. For the pet lover, the motel is also pet friendly. A mini-mart is also on site for all your spur-of-the-moment needs. The front desk can assist you with booking tours to the surrounding area attractions.